Here we explain the popular wave drop method in Apex Legends, which lets your team speed down to the ground as quickly as possible. If you're after a special technique that can help you land anywhere you want on the Apex Legends map, then look no further than the wave drop method. In this complete Apex Legends wave drop guide, we'll be going over how to properly execute the wave drop method within Respawn's game. 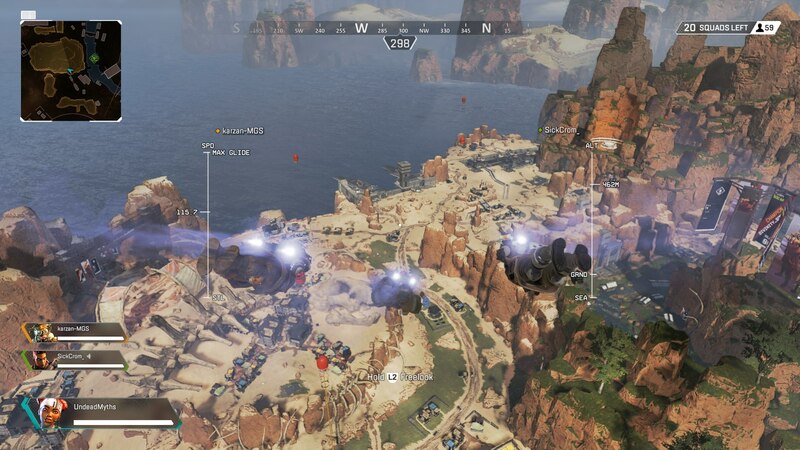 When you’re first jumping out of the jet in Apex Legends, you might think that angling straight down towards the ground will get you there as quickly as possible. But, as the graphic below from Reddit user TheBigSm0ke shows, this is actually a mistake. Welcome to the ‘wave drop method’ in Apex Legends. Basically, this method of wave dropping allows you to glide to increased distances and speed over the Apex Legends map of King’s Canyon. No matter where you want to land on the King’s Canyon map of Apex Legends, this wave drop method can get you there straight away. If you jump out of the jet as soon as possible, you can theoretically reach any destination on the King’s Canyon map as quickly as possible. 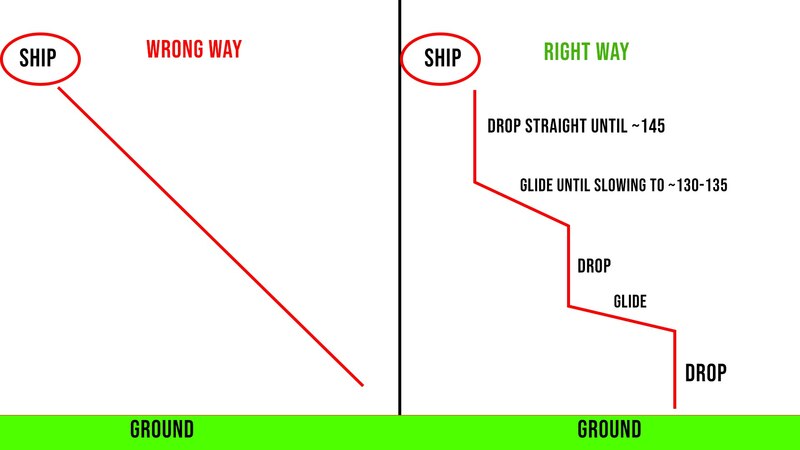 This means that if the destination you want to reach is near the end of the flight path of the jet, you get can their quicker by using the wave drop method straight away, than you would if you waited until the jet was right above the destination the ground, and jump out, angling straight down to the ground. It goes without saying that you’ll need to be the jumpmaster of your group in Apex Legends, if you hope to pull off the wave drop method. Not everyone that plays Apex Legends is aware of the wave drop method, but if you are the jumpmaster of your group, we’d highly recommend taking advantage of this method to secure your spot on the ground. Once you’ve hit the ground running, you’ll want to get your hands on the best weapons possible in Apex Legends, and quickly. For a full guide on the best guns in the game, you can check out our Apex Legends weapons guide.